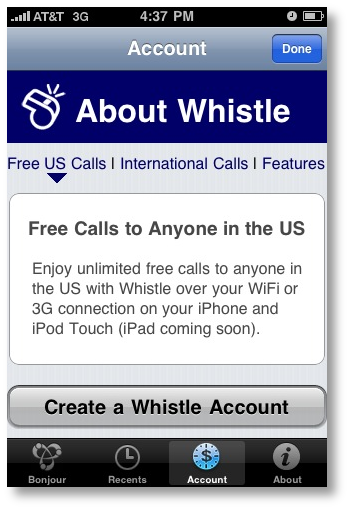 Open up your Whistle phone after downloading from the App Store. Enter in your first and last name, email, password and password confirmation. 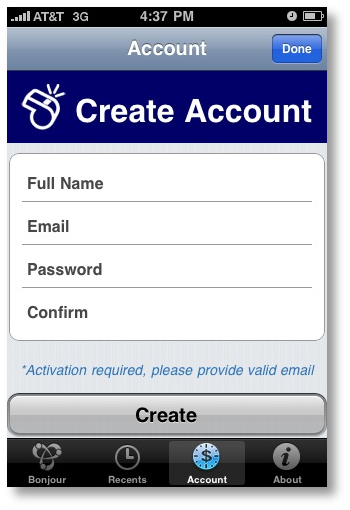 After you hit the 'Create' button, you will be redirected to your activation confirmation page. 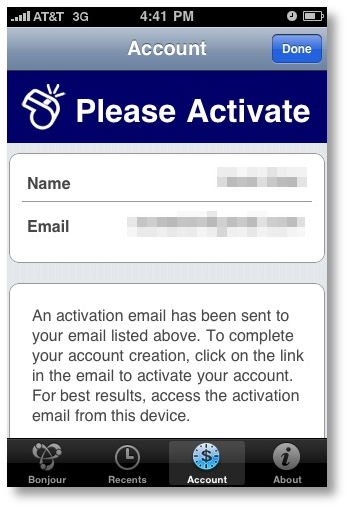 After you receive your activation email at your account email (this should take no longer than 5 minutes). Click the activation link in the email. The following account confirmation screen will appear. 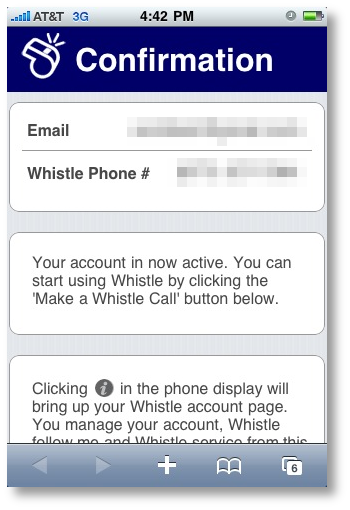 At the bottom of this page, click the 'Make a Whistle Call' button. This will open your Whistle phone. 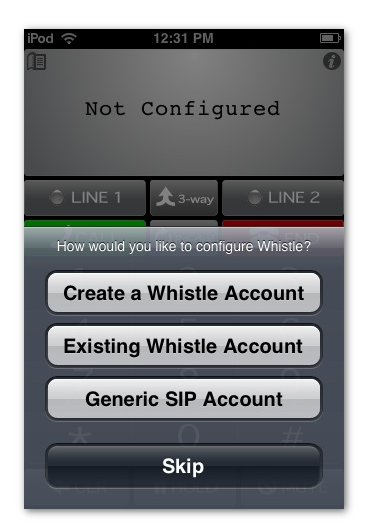 Your Whistle phone and account will auto-configure. You can now start making calls with your Whistle phone.